After Dust, Screaming Trees mostly completed an album, but broke up before it was released. The demos from that album surfaced, though, and were shared liberally around the internet. They were high-quality recordings sound-wise - not what you would normally expect from demos. These were produced and almsot finalized. 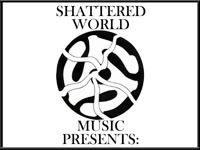 In 2014, Sunyata Records (the imprint of Barrett Martin, the drummer for the final years of Screaming Trees' run) released these demos as an album called Last Words: The Final Recordings. There were more tracks - ten on the album vs. seven on the demo (eight, really, but there were two versions of one track). One of the songs from the demo, "One Way Conversation", did not make the cut for the record, so it is still worth tracking down the demo. The record was pressed on red vinyl - 500 copies were made. It was going for a few bucks for a couple of years, but the price seems to have dropped and is now lower than the original retail cost.